Just ahead of Bengali New Year Big Bazaar goes for this innovative in-store marketing campaign to reach out to their regional customers. In a first of its kind recent cross promotion campaign, Big Bazaar tries to change the dynamics with a cash-back offer on tickets for Tollywood actor Dev’s Bengali New Year release ‘Kabir’.In this cross promotion understanding, the audience who buys tickets and goes to see Kabir between April 13 and 19 will get Rs 100 cash-back once they come with that ticket to the Big Bazaar store for shopping. On producing the Kabir ticket at the loyalty counter the Big Bazaar representative will help the person download the Future Pay Wallet & give a promo coupon of Rs 100 with a promo code which can be encashed on that very purchase. “This is the first time that a money back is given by any brand in a cross promotion. This is a huge step for Big Bazaar also as we are not sure how many people will come to redeem Rs 100 from their tickets, but we welcome all. 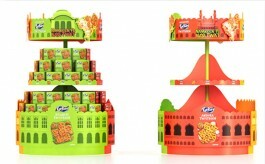 This will set a trend in the world of cross promotion where cash benefits can be directly linked to branding,” said Raj Banerjee, Marketing Head East Big Bazaar & Fbb. Kabir releases on the eve of Bengali New Year on April 13. It is through this campaign that FBB & Big Bazaar is promoting their Bengali New Year influencer line #NatunBochorerNotunSaajShuruKarunAaj. For the promotion Dev also visited the Big Bazaar PS Aviator store, near Chinar Park and launched the Poila Baisakh range of apparel that has new signature designs, cuts and cloth to brighten up the Bengali New Year. “I am delighted at this understanding. Rs 100 cashback on a ticket is a huge thing for my fans as that means the movie comes almost free to them. It also means a direct and focused push to the movie goers to come and see the cinema and get rewarded. 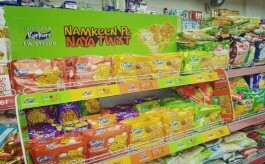 I am happy that Big Bazaar and myself could come to this understanding. It will spark a new trend altogether,” said Dev. Big Bazaar is the flagship hypermarket retail chain from Future Group, having presence in over 100 cities across the country.Fbb the apparel from Future Group targets a youthful audience and the brand has 288 stores including 54 standalone stores spreads across all the metro cities, mini metros and also penetrates well in tier-II cities.